I'm just hoping I still have the right hair - I have a ginger Tom and their hairs are very similar (my ex is blonde). I've done a few readings myself (even though I've only been reading cards for a year, my cards always give me very clear answers) and the Cards tell me that an Intranquil Spirit spell is my best course of action. So I'm doing that in conjunction with the honey jar. I need him to contact me but we havn't had any contact since last November, after I issued an ultimatum (in a very calm manner) which backfired. But luckily we never had any arguments. I'm suspecting that he's met someone new or got back together with his ex. But I don't know her name, nor have I seen her. Can I do a spell to break them up even if I don't know her name (and it's possible she doesn't exist at all)? I know, I might sound like a terrible person but I'm tired of being the nice girl and getting my heart broken over and over. And although you have done your own readings (and I don't doubt in the least that you have a talent for the art), it can be worth getting an unbiased opinion from a rootworker on the outside - just to confirm or deny what you're getting on your end. Most of us, even professionals, will get read for by others rather than reading for ourselves - particularly in a case like this. Hi Queen_of_Wands, Ultimately, you need to follow your instincts and do what you feel is right, but I would proceed with caution when doing Intranquil in combination with a honey jar. A honey jar is to make someone sweet to you and the Intranquil spirit is a curse that you are inflicting on them forcing their love. These are opposite energies and they might bring you conflicting responses. I agree with aura that getting an outside reader to help you look at this situation may be helpful. Thanks again Aura! That link is what I was looking for! I forgot to mention that I have booked for a reading with a reader on AIRR, there's a bit of a queue so I'm just waiting for my turn. I have a usual reader who does all of my relationship readings for me, she is excellent but I don't feel comfortable discussing with her about using hoodoo on my man. She probably already thinks I'm a little crazy! I have read that the Intranquil spell will cause him to be angry and confused because he doesn't understand why he so badly needs to see me, I want to do something to sweeten him up and give him a reason to want to see me. Do you have any suggestions? I don't want to do a reconciliation spell, wait several weeks and realise it's not working. It's already been 2+ months since we broke up, I read the longer you've broken up, the harder it is to reconciliate so I don't want to waste anymore time. I also live overseas so it takes a while for my supplies to arrive. Ideally I would like to have the honey jar started during the February Waxing/Full Moon phase. I've been searching through this thread for a while trying to find an answer to my question but haven't come across any...or I may have misread it, so apologies if it's already been brought up before. I have had my honey jar for a few months now, and has been on going since then. However I noticed today that my petition unravelled so to speak, and now there are herbs floating around in the honey jar, is it okay to leave it? or should I remake the honey jar. You can leave it as is and keep working it. In future, it can be helpful to tie the folded petition into a sealed packet with a length of red thread if you want to avoid this from happening. That said, the ''unravelling'' won't affect the work in any way but is a normal part of the paper being immersed in a fluid. i can most definitely get my hair in there but it would be hard to get his hair or anything like that. i suppose i could try to get him to come over but it would be extremely hard to do that. i do have his computer though so could i mix the oils and rub it on the inside of the computer instead? and i have a picture of us kissing would that be better than our pictures stuck together? There are 69 pages here for you to browse, give you ideas, and answer your questions. Please read through them. Then, if you have anymore questions, please don't hesitate to ask. I'm a bit of a long time lurker and newer buyer and poster. I'll make a proper introduction but I had to rush here to share what happened with my honey jar last night. So, i started my honey jar to sweeten this guy toward me, around the beginning of the month. I've been lighting it for sure every Monday, Wednesday, and Friday but also have some days in between when I feel it's "calling me" to do so. Last night was one of those night. I had the urge to light it even though it was Thursday so I did. I've been dressing a red candle with Love Me Oil mainly but have also used a pink one a few times when I was out of red and a blue one once when I felt there was some sort of blockage. Anyway, last night I received the Follow Me Boy Oil in the mail so I decided why not use this. I used bother the FMB and LM oils and carved his name into the red candle. Everything was burning as normal but when the candle got down to where there was about an inch left it started sparking/cracking like crazy. Naturally, I figured it was the fire reacting to the oils but kept a close eye on it in case the fire got out of control. The wax from my previous work began melting off the side. The wick turned sideways in the candle, producing a double flame that was cracking loudly. The fire rose and caught an old wick on the other side of the candle so now I has three separate flames going all at once. So all my wax was melting off from previous candles as this particular candle itself burnt cleanly. What I noticed though, is the wax that remained on the lid of my jar was shaped completely like a heart. You know how sometimes you see a shape and it resembles a heart if you look at it a certain way? lol well this wasn't like that. It was a perfect large heart. Anyway, the first two flames finally died out but the wick of the other side of the jar stayed lit. All the wax had melted away from it and it was just the wick burning by itself on the jar for what seemed like ages. Since it wasn't part of the original candle and there was no wax around it, I decided to just snub it out with my fingers as it was really late and I needed to get to bed. This is the first time my jar has had so much activity or my candle. It was really an interesting sight. I took pictures of the flames and heart if anyone is interested in seeing what I mean. I'm not sure what any of it means since there were a lot of conflicting signs but it was definitely interesting to see. Any input? Unfortunately, we do not do interpretations on the forum. Wish you the best of luck with your honey jar. I made my new love aware of the jar of assorted herbs, spices and sweeteners I made for us and why I made it. I moved the jar to another spot to work the jar in his absence. He made his intention to meet later about as soon as I started heating up the jar. Later that evening, spending a quiet night here with him at home, he noted the jar missing from its usual spot and asked, "Where's the jar?" I explained I'd moved it to work. He didn't press further. He went on and poured me some wine and brought it to me. This morning he left me more personal concerns, ie, a pair of shorts and the used condom. He is responding nicely. i started a honey jar spell two days back inorder to sweeten my husband towards me. He lives in a different country presently. Three months back when i went to see him, his behavior changed. he treated me very badly and demanded a divorce. After doing a menstrual blood spell his attitude towards me started softening. i had to return back hence any spell of contact was not possible. After doing the spell for two days, yesterday i suddenly got a mail from him. Nothing personal, he just forwarded a link which lauds women who travel a lot ( i'm an avid traveler) . he did not ask anything or say anything, just wrote 'maybe you'll like to read this'. while he did not write anything to me in the mail, there was no reason for him to write to me at all , considering he wants me out of life. Since i came back he did not contact me and i did not contact him either. ( after he insulted me the way he did and threw out of his life, my pride did not allow me to contact him). i read in one of cat's posts that we should look for some sign in the first three days of doing the spell. Can this be considered a positive sign? also, can i do something else to make the spell stronger? i love my husband too much and its extremely difficult for me to even think of living without him. i have been a good, giving and faithful wife. can i combine my honey jar spell with a voodoo doll or something to make him think of me or miss me. any guidance on this will be highly appreciated. Thank you!! Hello everyone! I'm new to this forum (I've been reading it as a guest for a while, but never posted anything). I'm sorry for my English in advance, I'm not form an English speaking country, but I try not to make too many errors. I have a coupla of questions regarding honey jar spell. But I think I have to clear the stuation first. So, first off, I'm working on my ex. We are sepparated for a while now (2 months), but I couldn't really start to work on him sooner because I we don't have any magick shop in my country so I had to wait for stuff to be shipped from UK, which took quite a while. The thing I noticed was, that when we were together and when we broke up, he had a lot of feelings for his ex girlfriend. They're not together for five years, but he talked a lot about her and also compared me to her. Not in a sense that he would say that she was great or did something good, but more in a way that he's used to girls treating him bad, because she treated him bad, or he's used to fights because they used to fight so much. He also had this weird fear of being close with a woman. So my plan, as a total noob to magick of any kind, was to first clean us from all negative and open the road for our love and relationship. Especially since the moon was waning, I tought this would be perfect to do first. I did this by burning white candles dressed with van van oil (I dressed the candle outward from center for clearing) on top of a petition for clearing away anything negative and any obstacle that is holding back our love. I really wrote a long petition (I'm not sure if that's a good thing), including everything I think can be holding us back. To clear all bad beliefs we might have that are holding us back, all memories about our past, all the people that might be standing in our way, all oppinions that may be blurring our vision. To change all this negative to good, to change all obstacles to opportunities and all negative feelings into love. I wrote the text in this manner because, as far as I've read Van Van oil is supposed to be a road opener and change bad luck to good. I always meditate on the candle and try to send positive emotions to him, cleaning us both with white light, visualising us connected with a bright light, laughing to each other, etc.. I got rid of the wax on a crossroad, throwing it over my left shoulder to the east, since I've red that crossroads are good for dissposal of wax as a road oppener and that you should throw it towards east if you want good things to come. I also thanked on the crossroad and dropped 3 pennies, then walked away witouth looking back. I kept te plea (petition) and I will keep burning candles on top of it in the same manner. Am I doing this correctly or are there any big mistakes? I know I did it quite on my own way, but this is how I feel comfortable. I also make myself "cleaning showers" (since I don't have a bath) before I burn the candle to clean myself from negative thinking and anything negative that might be holding me back for doing the "spell". For my next step I plan to start a honey jar. Now is a good time because the moon is waxing and I've got all the ingredients. But I have a couple of concerns. I've read many different oppinion upon burning the candles - should you burn it everyday at the beginning untill first good things happen or should I start only on Monday, Wednesday and Friday? Is it ok if I make a petition: love me think of me return to me (witouth spaces in a circle of course)? Also, what time to burn the candle? I can't burn it in the morning when the clock is rising (or how to say, when both sticks on the clock go up), because I'm at work. I can do it at midnight and leave the candle burn for the night, is that ok? Another thing, can I use pink and red candle alternating? One day pink, one day red dressed with Love Me oil? Can I still do the cleaning negative candle burning spell on petition at once? Also, my plan is to lay some tricks with Controlling oil and powder, like oil his door handles, sprinkle powder around his appartment. Is that ok, or would it be overdoing it? I would be really really really beyong greatfull for any kind of response. We don't have workers like this in my country and it's hard to get any kind of help. 1) I began a honey jar spell 3 weeks ago yesterday (2/3/14) and I haven’t seen any results; however I did a very basic version of it: paper torn with his name my name and intention circle on it, placed in honey jar, tied with a red ribbon. I don’t remember exactly where I obtained it but it didn’t mention to use any candles or oils. I have been meditating over it every day for about a week but no results. My question is should I just start a new one now that I have done more research on it? How would I dispose of the items if I want to recycle the jar? 2) I would like to work on a honey jar spell, in the appropriate way, for the return of someone; however I don't exactly have the privacy I desire to work on it properly, any suggestions on how to accomplish this without having to explain myself to my 12 yr old and family/friends? Ok, after more research I got answers to most of my questions. I decided to burn a candle on honey jar everyday. I look at it as a symbol of our love and I treat it that way, hence I think it should be done everyday now at the start, when our love needs more attention. I started to go to work later so I can first start the candle in the morning and meditate on it. I burn it in sections as much as I'm home, never for less than 15 minutes (I think that's the rule). I tried using both pink and red, but my intuition is leading me more towards pink as I felt the vibrations while burning red candle were a bit too strong. I think his blockages are still too hard and red sort of pushes him off (I think this mostly because I got really nervous while lighting the red candle and as I was putting the jar on the table the candle tripped, fell on the table and went out, which is a bad sign). The pink candle burns perfectly and feels good. Also I decided not to do any controlling for now. Mostly because he's not the kind of person to be pushed around and I think this type of work would only push him away. I decided to do more healing/cleansing on him with petition/prayer spells. I ordered healing, blessing and road opener products for this (is that ok? ), for now I am using van van as it's all I've got, I hope this is not too bad? Sounds like you're on the right track!!! As far as the little problem, I would not open the jar. Instead, I would just gently tilt the jar upside down and sideways. Your first Honey Jar doesn't sound bad, You could almost just start putting candles on it and burning them. But if you want to do a completely new starting over kind of thing you could dig a little hole in your back yard and pour out the contents of the jar into that hole and cover it back over. Then take and just thoroughly wash the jar so you can reuse it if you want. If you want to work more in secret I would try and find a candle holder that has a hollow bottom. They are usually brass and have green felt on the bottom that you can pull back and glue back down. I believe lucky mojo carries them if you can not find one some where else. Then get a very tiny little bottle that will fit in the hollow base and put the honey and other things you need in it. Then you can light candles on top of it and people will just think you are lighting a decorative candle. ( I learned all that from reading Miss Cat's suggestions but do not remember exactly where). YOur other option is to hire a root worker to do the work on your behalf. Hope you find this helpful! Oh and P.S. you could also use a sugur bowl instead of a honey jar! Just search that term and see what comes up! I've just started a love/romance honey jar. I set the little jar of honey on a red glass tray and I burn a 4" Black Cat Brand candle on top of it, the candle is dressed with 3 different love oils. I also set 3 tea light candles (each dressed in a different oil) around the honey jar, hugging it in a triangular formation. Now I've noticed that the 4" candle is burning down super fast, we're talking 30 to 40 minutes. I understand the burning time varies between an hour to an hour and forty minutes and depends on the room temperature, and with the 3 tea light candles in such close proximity, it does get pretty hot. But it feels like I light the candles, say my prayers, leave the room for a while, come back and it's almost burnt all the way down. Is this normal? Or can I take it as a sign? Also, this morning I noticed that one of the tea light candles I burnt last night had left a heart shape puddle of wax on the tray, I know this is a good sign but since this is not the main candle on top of the honey jar, does it still count? The whole point of surrounding the jar with tea lights is to make it hotter! So -- yes, it's a sign that the spell is working as intended -- because physics! But the real test is: what kind of movement (real-world progress) are you getting? It's part of the spell -- so I would say it counts. Thank you for your input, I appreciate it very much. I only started the honey jar yesterday and I havn't spoken with the target yet. I know honey jar is more of a long term thing instead of an instant fix so I'm not concerned that I havn't heard from him yet. I have the love me honey jar and i what to heat it up do i have to make another packet to add some ginger and cinnamon or do i add it to the honey and would this speed the jar up a little? As you know honey jars are slow long term work. When you say "speeding up" I am guessing you mean in terms of time or are you talking about heat in the relationship? There are two pages of info on your honey jar kit. Hope you find it helpful and if you till have questions feel free to ask. Heat in the relationship so she will kiss me more. Thanks for advice! I did as you said and it seems to be working well. The next day after I started the jar my ex called me and we went on drinks. We also met on wednesday and yesterday we spent the whole day together. So the jar seems to be working, since we didn't see eachother for 2 months before that and if we spoke, we spoke very little. Hi Lissome, sounds like some great progress to me. Now that you are getting clear movement keep going! Hi, I had been working a honey jar on a man I was dating for the full year of our relationship. After a year’s time, he left me to try to work things out with the mother of his children. I was devastated but continued to work that jar. He was gone three months. He’s now back and we’re giving it another go. Should I continue to work that same jar that may have picked up sad/chaotic/troubled energy from our separation (but it is our original jar) or should I start a new, fresh one now that we’ve restarted? Ultimately it is up to you on whether to start a new on or keep the old one. I personally would think of the original honey jar as not having picked up any negative energy but as actually being strong and steadfast during and despite the little break up.I personally would say keep that faithful little jar going. It seems to me like that little jar is working pretty good if it brought him back! Ok so from what I have read and researched on LM amazingly informative site and forums, I know that a non active, strong, tall flame and no remaining wax after a burn on a honey jar is a great sign but that it does not necessarily mean that you will be successful, just that there is no resistance. I’m working on a LM honey jar (a little over a week now) and I also have a reconciliation mojo bag. My question is, what else could I do to have someone return to me? It's nearing to a month that we have separated and I know he still has strong feeling for me as much as I do for him. There should be ideas for you here also. I began to work a honey jar last night. Hopefully I didn't screw up on my petition - the honey jar is meant for my wife and I used her married name when I wrote it down on the petition, nor did I use our middle names. Don't ask me why - maybe I was just too emotional during the actual process. Anyway, any thoughts on whether or not something like that would necessitate a "restart" to the work? Insolong as her married name is the one she uses regularly, all is well. Keep working with faith and confidence - no need to redo the work. Back-up spells are very common. i would like to do a honey jar for a professor of one of my very hard classes. He's pretty standoffish and takes pride in being one of those hardass teachers *rolls eyes* anyway i want to do a jar where he will seem more favorable towards me and my work/exams..should i do crown of success or an influence honey jar? or is there another one that would be best? The Influence sounds terrific for this person! so you think influence honey jar would be better than a boss fix one? some people say doing multiple spells makes things more effective and some say no so much..just wanna make sure it's not overkill..would appreciate any suggestions. i have made a honey jar but still have questions. my ex and i had strong feelings for each other. then all of a sudden he just stopped calling me now he never calls or texts back. i just want him to open up his heart to me again. i cut a brown paper bag sized enough to write his name 9 times. i turned it 90 degress to write my name 18 times however i didnt write my name directly over his name that i had written but above it. i then made a circle with a prayer written in the circle without lifting my pen. i folded it n put it into a glass jar w a metal lid. i smoked the jar w white sage and the note n then place sugar n place my note inside n poured maple syrup n honey all over n sealed it. i did not have any hair or personal items to put into it or even herbs. i have been using red candles that just leave a little wax on the top of the lid. i also melt a little wax onto the lid so the candle can be stuck on it. it burns neatly so far with no drippings. i anointed the red candles w olive oil as i had no Lucky Mojo oils. i have been praying over the jar every night for his love and to return to me and call me. i hope i am doing this right. 1) i do have a photo with him should i use that on the alter. its a picture of both of us should i use that or just a picture of him? 2) i heard about burning white sage and sweet grass outside at night and chanting his name what do you think? 3) what specific prayer should i recite over my honey jar? 4) hoping this jar is ok the way i did it. is it? 5) i am going to pray over the jar for 9 days. is that good? 6) i am a Catholic and so i also have our lady of caridad n burn her a yellow candle everday along with this honey jar on same alter. is that ok? gosh i have so many questions and concerns. I think the first thing I would recommend to you is to get Deacon Millet's book Hoodoo Honey jars and Sweetening spells. You can find it on this page. It will explain anything you would like to know about honey Jars . 1)- I would use the photo of both you, You ca even make a copy of the photo and use on in the honey jar as well, You might shrink it down if it is to big. 2)- I would be curious where you heard this from, These are two herbs that figure prominently in Native American traditions, In hoodoo I have heard of people using sage to help gain wisdom but I don't know that sweetgrass has ever really figured into hoodoo. (someone with more knowledge might be able to shed more light on this, My guess is because it grows in the north contact with sweetgrass would have come later on in the experience of people brought her from Africa) Because I am an Ojibway person I know that we use these herbs to pray, cleanse and call in good spirits but you wouldn't really stand outside and just chant someone's name. 4)- I personally would redo your honey jar with a new name paper. Just open it up and take the old on out and then do a name paper where your name is actually directly on top (not above) his so you make a cross pattern with the names. Use the back of a copy of the picture if you like. 5)- different people pray for different amounts of time. If 9 is what you want to do that go for it. I like to pick a particular day , Like Friday for love work< and pray over things every Friday. You might pray for nine days in a row to start and then continue to pray once a week on your chosen day for as long as you want the honey jar to work. 6) this one I will have to leave to someone else, I do not work much with saints and I really do not know much about Our Lady of Caridad. 2. the burning of the white sage and sweetgrass is used to call upon someone. i was told to burn white sage and pray over the white sage and to speak to the spirit of the plant - Ask it to go to the person you wish to contact. Use their name to identify them, and visualize them, and if you know where they are, mention that too. Then light the sage, and hold it as it smokes. The smoke will travel to where they are and will carry your message. As it smokes, concentrate on your communication. Keep it basic. After the sage has burned out, repeat the entire procedure, using sweetgrass. 3. any other thing else i can do? 1)- You can write your names nine times like you did in your first try. Nine tends to be a number associated with success so I see nothing wrong with that. (find them here http://www.luckymojo.com/mojocatcandles.html) They work great for honey jars. - What ever name you typically use works. your birth name or your married name either one is fine. Which ever one you feel is more yours. taught to use them in the Ojibway tradition. threads on reconciliation and love drawing. And you are welcome! I love lucky mojo products and I am happy to let people know how best to put them to work! I have a question.. I have read about using sugar and water instead of honey for it to work faster ..
Is this correct and do u shake the jar and burn candles on it as well ? This question has been asked several times and the answer is always the same: NO. Don['t do it. You will make fermented alcohol, like beer, and the jar will very likely explode, or the mess will eventually turn to vinegar. 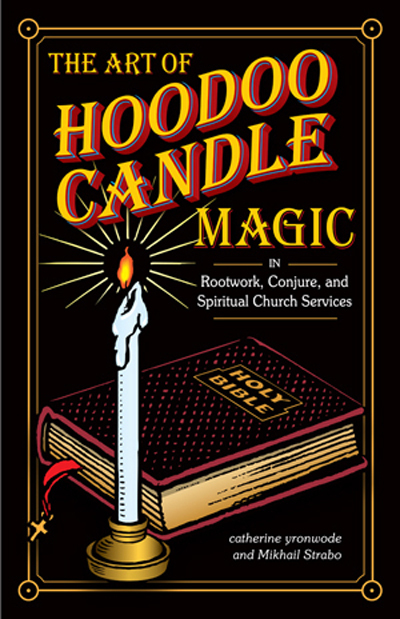 Please either read this thread from the beginning or get a copy of the lovely $9.00 book Hoodoo Honey and Sugar Spells" by Deacon Millett, which answers these questions and more! I am new on this forum and I wanted to ask a question about the honey jar spell. Me and my boyfriend have been in a relationship since three years and want to marry each other, but his parents have someone else in mind for him and do not like me as much. 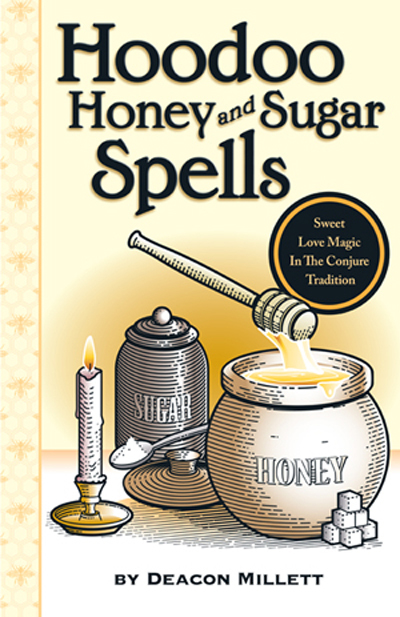 I wanted to know if I could use the honey jar spell to sweeten them towards me? If so, how should I write the name paper? three times his mother's name, three times father's and then mine on top six times? Yes, you can do a honey jar on them. Good idea! Please review these pages for help on this. Can the jar be opened and add a picture and powdered sugar ? Do you have to fold picture? They really should not be re-opened (except to add personal concerns). I don't fold the pictures. Some rootworkers do but I personally don't. 1) What should I do with the 3 honey jars I started. Could they still be working? Or should I go ahead and dispose of them? If so, how can I do it safely so that if there is a chance there is good in the jars...I don't ruin that? It's cold where I am so ground/water is not an option in the winter. 2) Is the syrup jar ok even though I probably should have only used one magnet and not a metal lid? I was hoping that maybe once everything is in the jar, it doesn't matter I didn't use my head to think on the magnet issue etc. 3) can i actually hurt the situation by not making correct jars? Thanks so much everyone. I've been wondering on these for awhile now and would really like some help to get this straightened out. Can I use honey jar to make my partner more understandable towards my requests? Basically, I am going through a divorce. I have wanted the divorce for ages because he's a cheater and a liar. He got to filing the divorce papers before me. I got a lawyer. On the divorce papers he was claiming other stuff other than incompatibility (which would be a no-fault divorce), but won't tell me what. We both want the divorce, the only problem is our 7 year old daughter. I want residential custody and to move back to my home area an hour and a half away. I have never had friends or family or job opportunities out here, and the area is bad for my daughter. He never is home, never spends time with her... yet now all the sudden he is fighting me to get custody of her and to force me to stay in the area. I am a great mom, a loving mom, an attentive mom and I am tired of this horrible area and being miserable and having no friends family and support. He goes out partying on days off, sleeps all day, does nothing with her.... now all the sudden he is trying to be a super dad but he does it and it's so fake and it hurts our daughter because he is very immature and irresponsible about it. We have to go to mediation shortly, then we are scheduled for pre-trial on April 21st. I got a honey jar kit for a court case, a mojo bag, and a court case candle. What I want to know, asap, is if I can put my ex's name and the judge's name on the petition paper for the honey jar, and also what can I do to speed it up. I only have one honey jar. I ordered it over a month ago, and it just finally got here, so I don't have time to order anotehr one. Sorry if this is somewhere in the forum, but I it's really difficult to spend hours reading for this topic because it's a very broad topic to find a very specific answer. Thank you in advance! MoonlitShadows, if this were me, I would do two different jars. If you want your ex to be sweeter, kinder, and around more than a honey jar is a good way to make that happen. However, I would focus more of my energy on the judge and making a Court Case honey jar for the person who will be making the decisions on this case. You might also look at working with a rootworker who is gifted with court cases, there are several members of AIRR who are skilled with this work. Thank you Miss Aida. I will look at it. I don't like throwing away honey jars unless I am 100% sure that they are not working. Therefore, my advice to you is to keep those jars. As far as the syrup one, I would properly dispose of the contents and start a new one without that metal lid. Any type of anxiety over a spell will yield ineffectiveness, and that's what we have here with the magnet adhering to the lid. Usually how many petitions can be recite for one honey jar?